Are you looking for a great outdoor wedding venue for the wedding of your dreams? Look no further than Chandler’s Gardens. 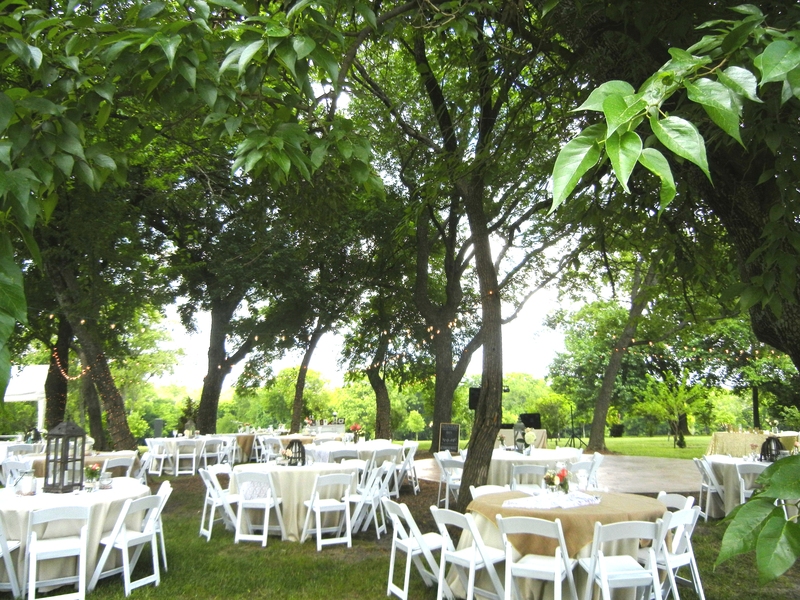 Chandler’s Gardens is located just minutes from McKinney, TX, the perfect spot for a beautiful outdoor wedding. There are several locations in the gardens where you can choose to have your wedding, as described below. The Secret Garden is a beautifully secluded place for your outdoor wedding. 170 people can fit comfortably between the huge shade trees that surround the area. Enjoy saying your vows in front of the 200 year-old oak tree surrounded by family and friends. For rose lovers, there is the Antique Heritage Rose Garden that covers an acre of space at Chandler’s Gardens. 170 guests can watch you get married under the wooden arbor surrounded by beautiful roses. Do you want to feel like you are getting married in Italy? Do so by saying your vows under the Tuscan Pergola. The Pergola is only a short walk from the Event Center. The cobblestone floor makes you feel like you have stepped back in time as you say your vows to your beloved. For those who want a waterside wedding, check out Chandler’s Reflections at Water’s Edge. This venue is the perfect place to get married at sunset. 170 family and friends can watch you get married surrounded by water and roses. Chandler’s Gardens also has several locations for your reception. You can enjoy mingling with guests, eating, and dancing the night away in the Event Center. If you prefer staying in an outdoorsy setting, there is the reception tent in the Rose Garden. For the ultimate outdoor experience, celebrate your wedding day outside by enjoying a reception in the Circle of Trees. For more details and rates, please contact us.